The House of Representatives could vote on a bill next week that would expand ObamaCare’s premium tax credits to certain off-exchange health insurance plans. The bill is part of a modest package of health insurance reforms, including the expansion of health savings accounts (HSAs), recently advanced by the House Ways and Means Committee. Currently, premium tax credits under ObamaCare are available to only consumers who purchase plans through a state health insurance exchange or the federal exchange. Plans are given metal tiers — bronze, silver, gold, and platinum — that designate the percentage of coverage under the plan. A silver plan, for example, covers 70 percent of costs while a platinum plan would cover 90 percent. The remaining amount would be paid by the consumer in the form of copayments and/or deductibles. Certain individuals can purchase catastrophic plans through the exchanges. 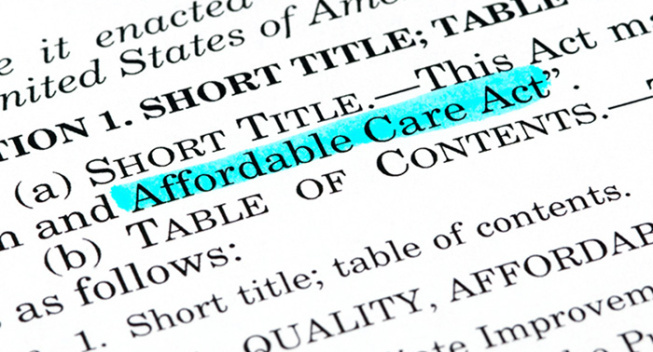 These plans are cheaper than bronze plans but cover less and have higher deductibles. Only people under the age of 30 or those who have a hardship exemption can purchase these plans. Under current law, premium tax credits can’t be used for these plans. H.R. 6311 would expand the Affordable Care Act’s premium tax credits to catastrophic plans that are offered off of the exchanges and make them available to all consumers, including those who don’t purchase through the exchange. These plans, which are free of ObamaCare’s mandates, would be known as “copper” plans. Now, allowing more consumers the ability to purchase catastrophic plans is a good idea. These plans make sense for people who have a low utilization of care and should be available to anyone who wants them. Democrats will complain, of course, that expanding these plans offer less coverage and undermine ObamaCare. The concern with H.R. 6311 is that it expands ObamaCare’s premium tax credits to off-exchange plans. That’s a slippery slope. If this bill passes, especially under Republican control of the House, it will be used as a precedent for expanding premium tax credits for other off-exchange plans the next time Democrats are in power. In 2016, roughly 22 million people were in the individual, or nongroup, health insurance market, which includes ObamaCare enrollees. About 12.7 million people selected plans through the ObamaCare exchanges that year, although enrollment declined noticeably in 2018. It’s worth noting that even though someone selected a plan doesn’t mean he or she enrolled. There’s also attrition — such as failure to pay premiums or being covered through a job — that would reduce actual enrollment numbers. The Congressional Budget Office projects that the federal government will spend $624 billion between 2018 and 2028 on premium tax credits. If Democrats were to use H.R. 6311 as a precedent to expand premium tax credits, obviously, outlays for premium tax credits would rise. Such a concern isn’t far-fetched. Although support for a completely government-run health insurance system is rising in the Democratic Party, it’s not a viable option in Congress. The so-called “public option” may have more support, but it too may struggle to get the votes necessary for passage. Expanding premium tax credits would be an easier sell for Democrats. House Republican leaders may argue that H.R. 6311 was part of the American Health Care Act (AHCA), H.R. 1628, which passed the House in May of last year. It’s true that the text of H.R. 6311 was part of H.R. 1628, the text of which is in Section 202. But ObamaCare’s premium tax credit would have been repealed in the AHCA and replaced with a new tax credit structure. Separately, the AHCA limped out of the House, but few Republican members gave the bill a full-throated endorsement. H.R. 6311 may be well-intentioned, but it’s a bad idea when ObamaCare is largely still the law of the land. Put simply, Republicans should not be looking to lay the groundwork for Democrats to increase government involvement in health insurance markets.